Facebook recently announced a new food ordering option within its app to connect users with restaurants in their local market. What does this feature have to do with healthcare marketing? Other than the obvious fact that both medical providers and patients have to eat, this new feature reinforces the effort Facebook is making to better engage its users. Facebook remains dominant among social media channels because of its user base and the average amount of time people spend on the platform. 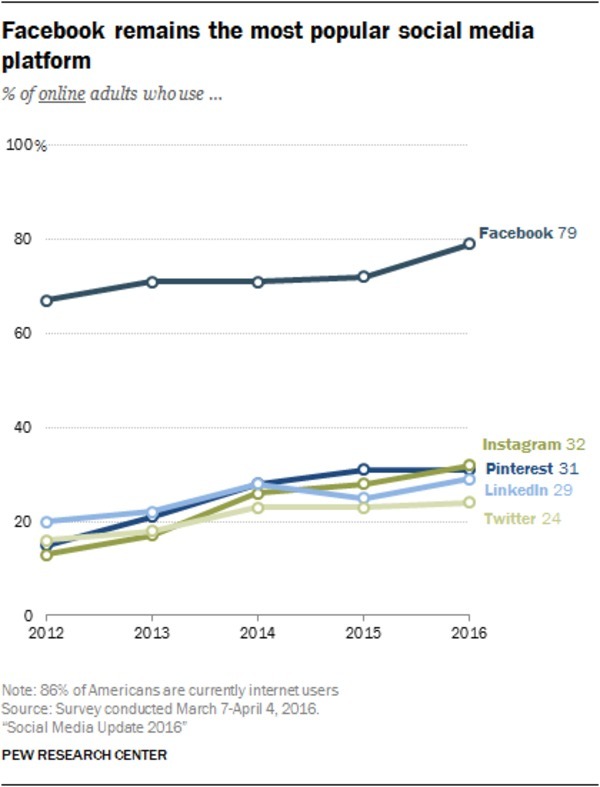 Pew Research revealed in its 2016 social media recap that Facebook’s user based had grown to include 79% of all adults online. However, data throughout 2015 and 2016 showed that engagement levels, including posting activity, link clicks, shares, and comments, were down sharply. Throughout 2016 and 2017, Facebook has been extremely active in its efforts to drive better engagement through adjustments to its algorithm in an effort to minimize click-bait articles and deliver more relevant content to a user’s timeline. These efforts in conjunction with new features like food ordering have resulted in improved engagement results in recent months. Despite the recent dip in engagement rates, Facebook remains the best option for marketers looking to set up or expand their social media marketing efforts. On the platform, marketers have access to a diverse, expansive audience of people who now conduct a majority of their health-related research online—recent studies estimate 76 % of patients research healthcare providers online before making a decision. These potential patients are also starting to take into account the recommendations of their social media peers as if they were in-person contacts, making a healthcare brand’s online presence and interactions with its followers even more important. As Facebook evolves and engagements improve, healthcare marketers will have more opportunities to reach prospects through organic and paid advertising than ever before. Brands across all industries are investing heavily in influencer marketing, especially on social platforms. And while healthcare firms have the additional challenges of HIPAA regulations, there are still ways to benefit from this trend. Leveraging the influence of individuals on your medical team and staff is a great way to inspire organic content sharing on Facebook. Through carefully crafted social media policies and a solid understanding of regulations, healthcare brands can encourage practice representatives to share their positive experiences on Facebook and other platforms. This alongside efforts to establish brand authority like offering expert tips and authoring branded content can effectively appeal to users, encouraging their engagement with the brand. Recent data and Facebook’s continuous push to increase engagements on the platform reiterates what most people already know—users are spending and increasing amount of time on Facebook. Facebook uses new features like food ordering to keep people online, they provide healthcare marketers with more opportunities to engage with people looking for healthcare information online. As an expert in marketing in healthcare, Response Mine Health can help you maximize the marketing benefits of Facebook and other social media channels. Contact us to learn how we can help grow your business today!